> Truck vs Alligator. Who will win? 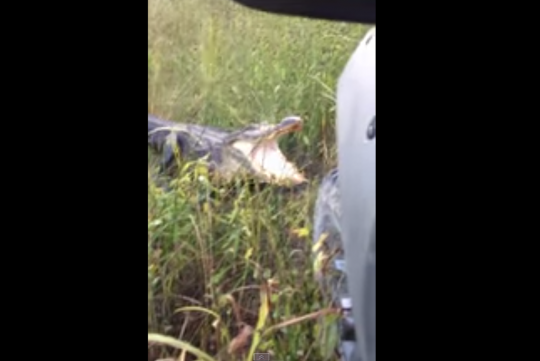 Truck vs Alligator. Who will win? We have no idea why would anyone want to antagonise an alligator or any dangerous animal for that matter.